Welcome to the South Lawson Park Bushcare Group website! On this website we describe and record the environmental features of the south Lawson area that we operate in, and the volunteer work that we do. New members, including families, are welcome. Children and young people must be accompanied by an adult for the duration of the bushcare session. If you’d like to come to a session to observe and ask questions then that’s fine too. Healthy bushland and streams combat global warming. However, urban bushland is constantly threatened by adverse impacts, particularly invasive weeds and large stormwater flows that cause erosion. If these issues are left unmanaged at the urban/bush edge then they not only destroy urban bushland but can spread to significant areas of the National Park, threatening fauna and plant diversity, intact ecosystems and the World Heritage Area. Therefore, a major practical aim of bushcare is to tackle weed and erosion issues on bushland perimeters before they develop into major problems that are very expensive to remediate or even impossible to control. We also have a great time! Good company, exercise, new skills and rewarding experiences are readily available. 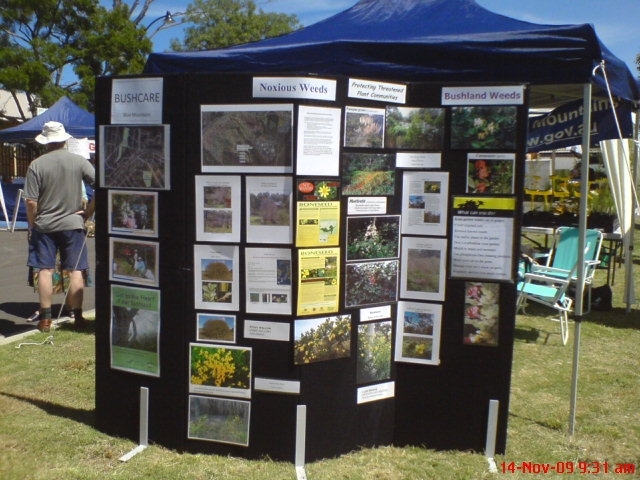 The Bushcare Group was formed in 1995 and has operated continuously since then. We meet on the third Sunday of the month, from 9.00 until 12 midday, but these times can be adjusted to suit individual circumstances. A BMCC Bushcare Officer supervises each session. Maintaining healthy bushland and its ecosystems is one of many ways to ameliorate the adverse effects of and combat global warming.